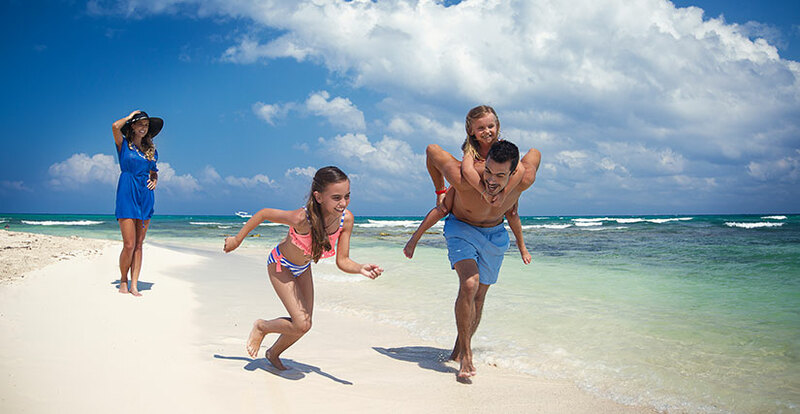 Inspired by the old Mexican haciendas, The Royal Haciendas All Suites Resort & Spa is the perfect hideaway in Playa del Carmen for families, nestled on the shores of a sheltered Caribbean beach within the most prestigious residential golf complex in the Riviera Maya. 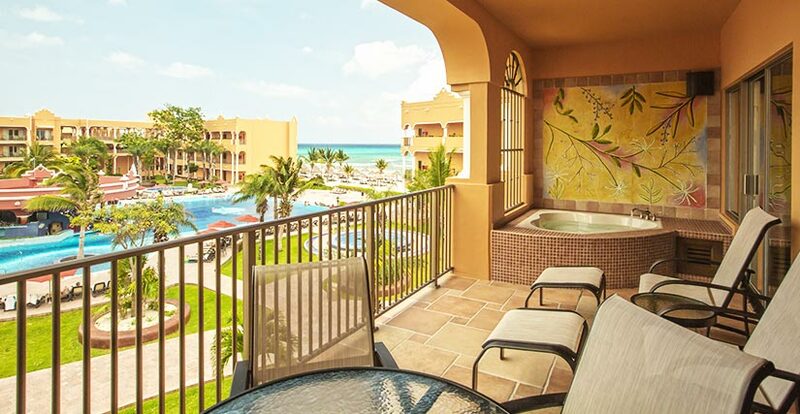 Our beachfront resort, just 30 minutes from Cancun International Airport, features spacious suites & villas with private balconies by the ocean, surrounded by a beautiful setting to enjoy your vacation with first class amenities and services. 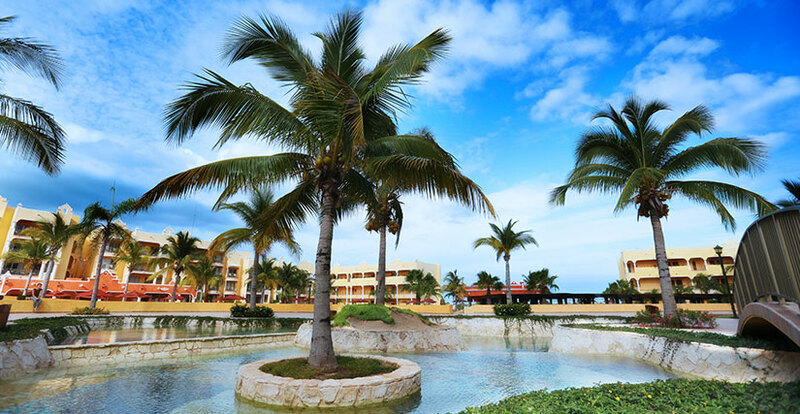 The architecture was designed with your convenience in mind, The Royal Haciendas is not a sprawling resort to get lost or to be explored on golf carts; from the farthest point up to the beach, you will only walk 5 minutes. 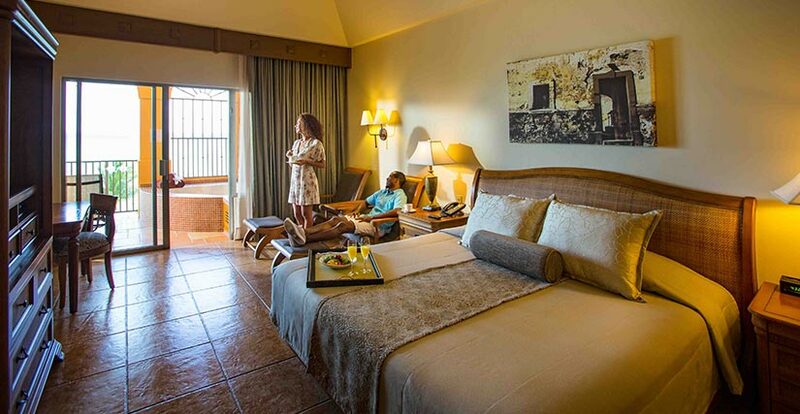 Enter your own private haven in any of our beautifully appointed suites and villas at The Royal Haciendas All Suites Resort & Spa. 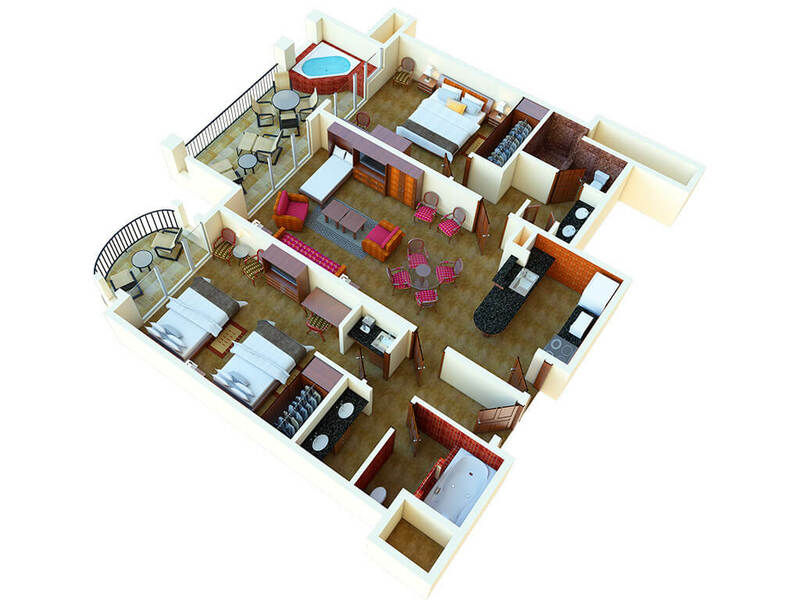 Every suite & villa feature premium amenities like free Wi-Fi, telephone, TV & DVD, microwave, iron, and more. 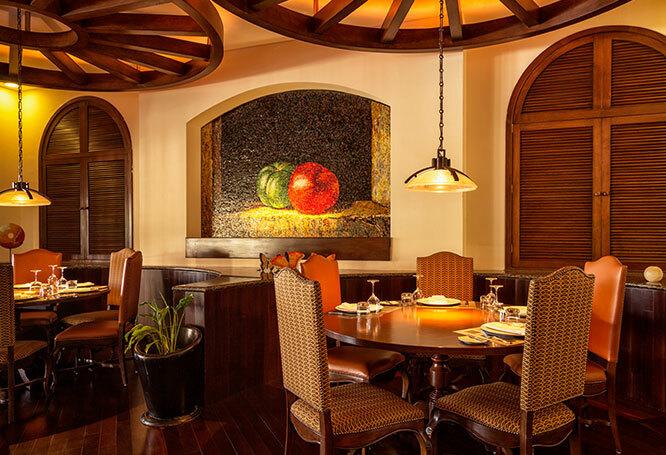 Offering a delicious array of culinary options, The Royal Haciendas All Suites Resort & Spa features top-ranked restaurants offering traditional Mexican cuisine, some Italian favorites, the finest steaks and fresh seafood while enjoying the warm breeze of the Caribbean. 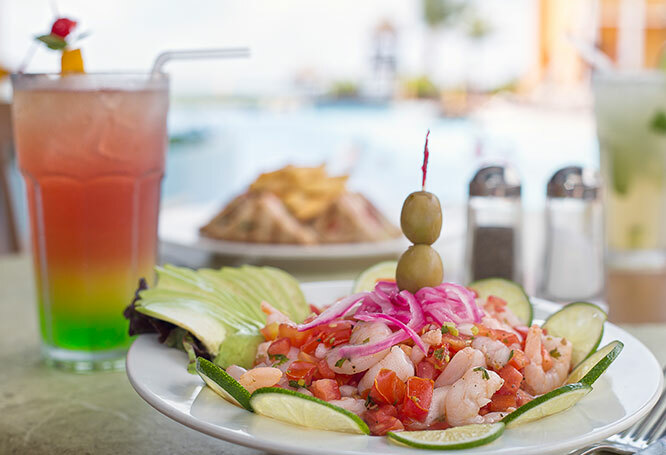 Enjoy a panoramic view of the Caribbean while tasting delicious seafood, steaks, and Mexican and International dishes. Buffet or a la carte options available. 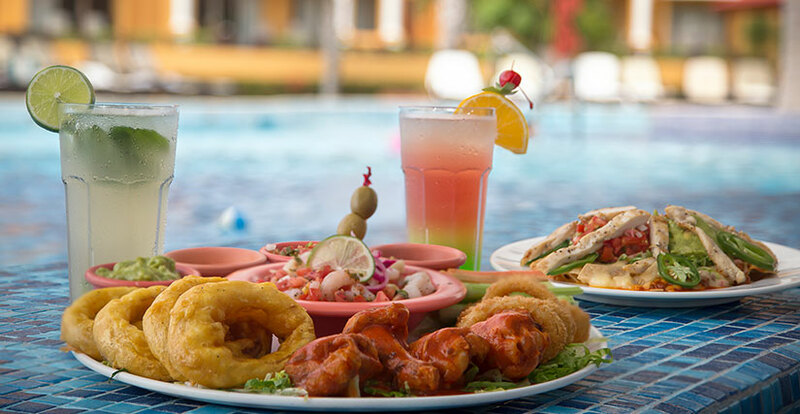 If you are looking for something casual, try a poolside dining for lunch that includes a menu selection of ceviche, seafood, hamburgers, salads, together with your favorite cocktail. 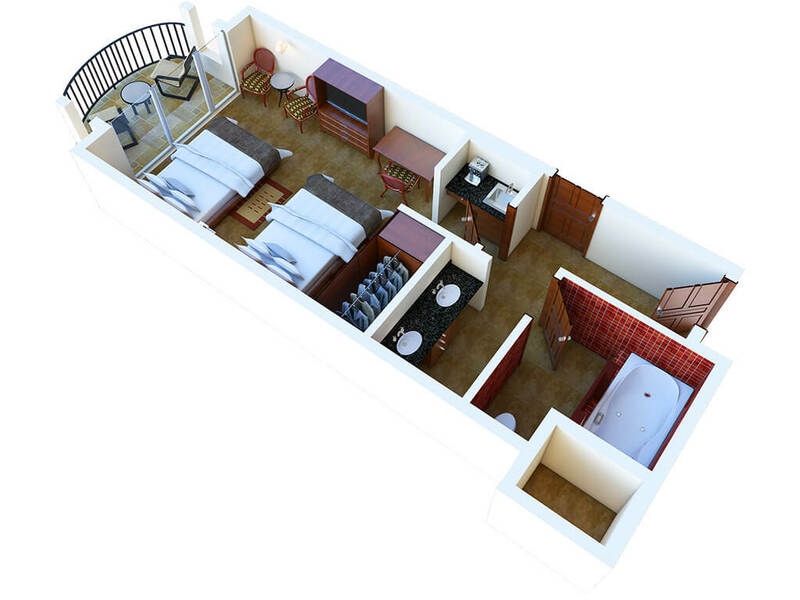 Guests staying on Saturday night may need to change units. 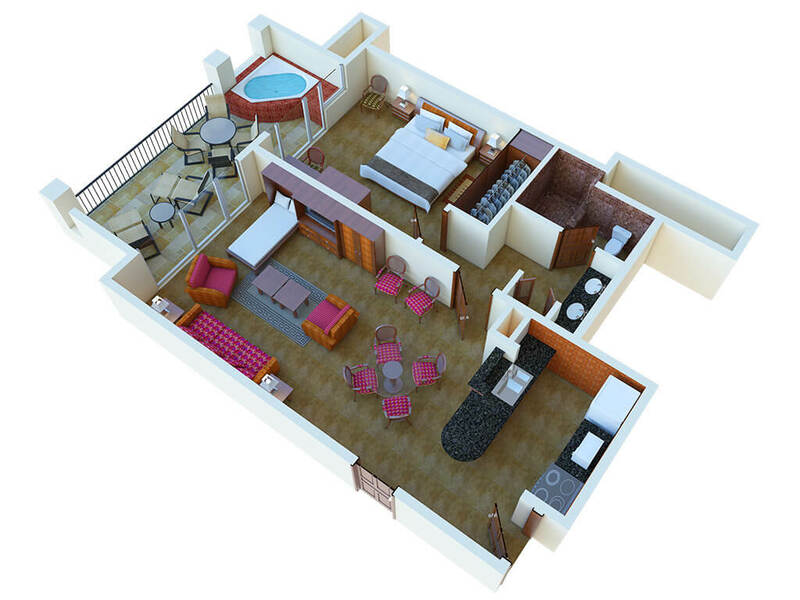 The hotel will work to avoid this scenario, but when necessary, management will work directly with guests to streamline this process. 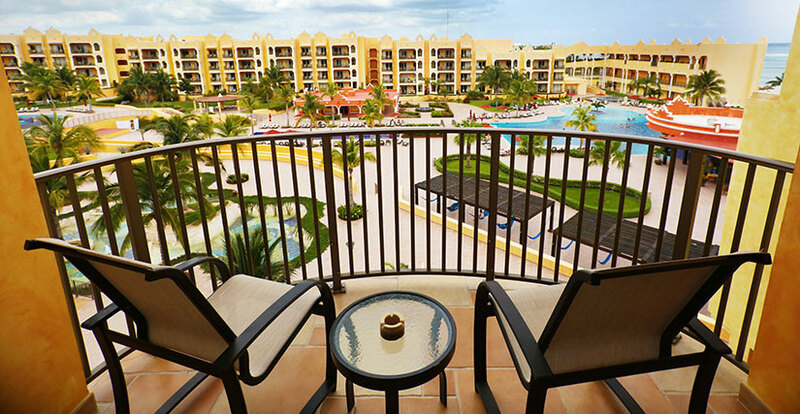 For all Inclusive plans Gratuities and taxes are included. However, additional gratuities at guest’s discretion are accepted. 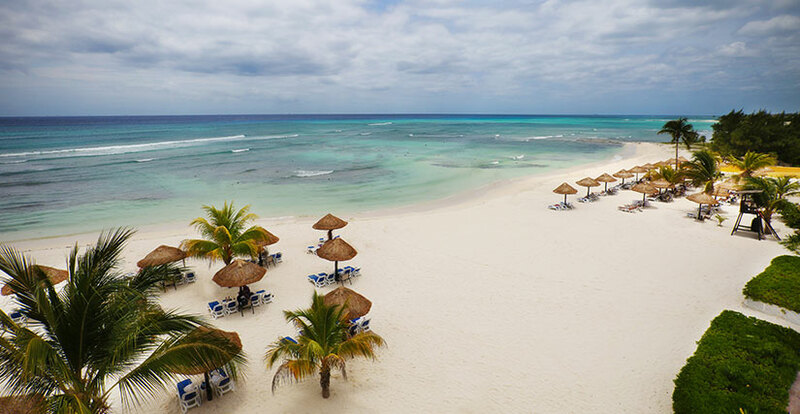 (recommended) European Plan rates do not include gratuities. 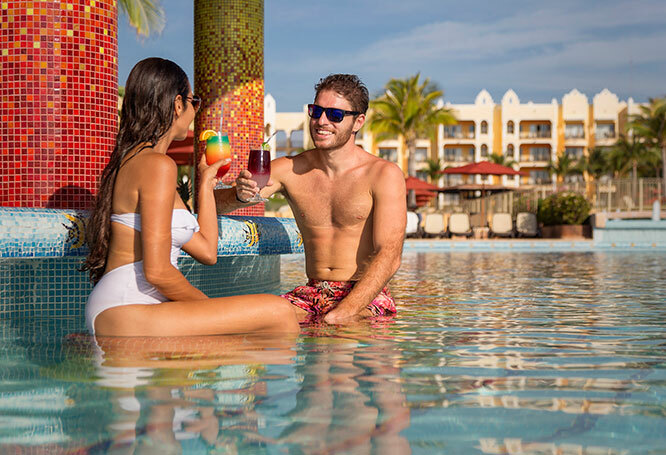 Important information about the All-Inclusive Package. 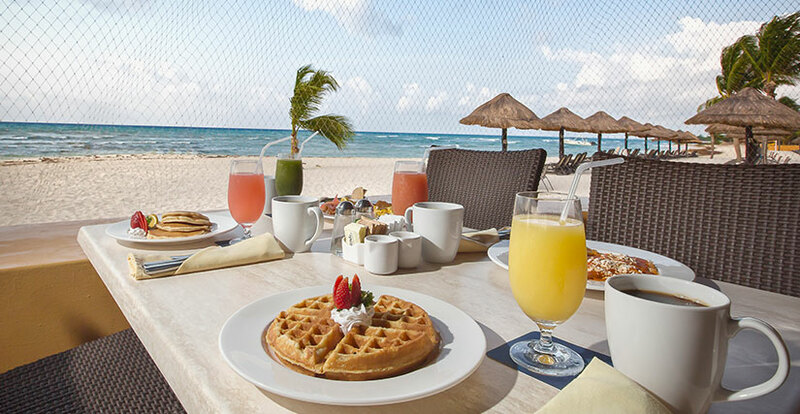 The All-Inclusive package offers an ample array of meals and house beverages, however, some restrictions may apply. 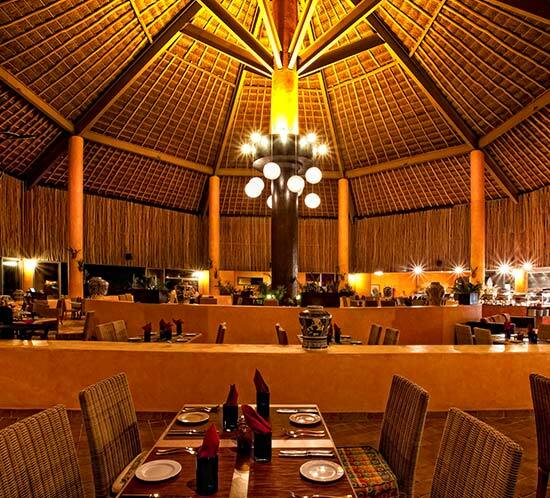 The following list of Premium dishes and drinks are available at an additional cost. 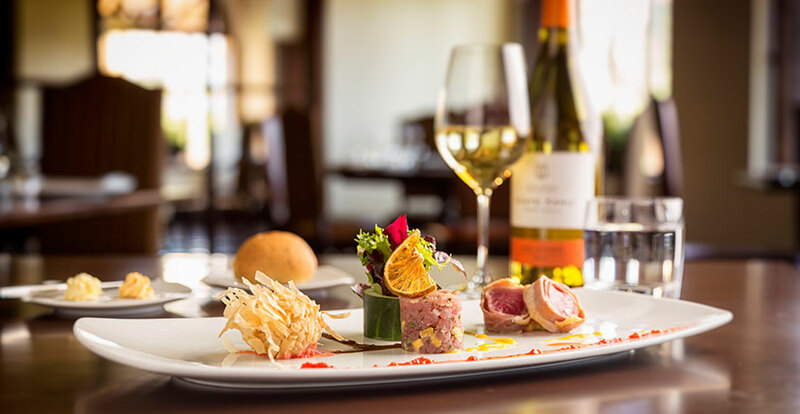 This list include but is not limited to: Lobster, Selected fine cuts, Selected prime fish fillets, Dishes prepared tableside, Flambéed desserts, specialty beverages and coffees, Premium or imported brand beverages & wines, all types of canned and bottled beverages including soda, beer and some liquors among others. Should you need further information, please stop by the front desk for assistance.